Various Colors. 100% Cotton, Made in USA. 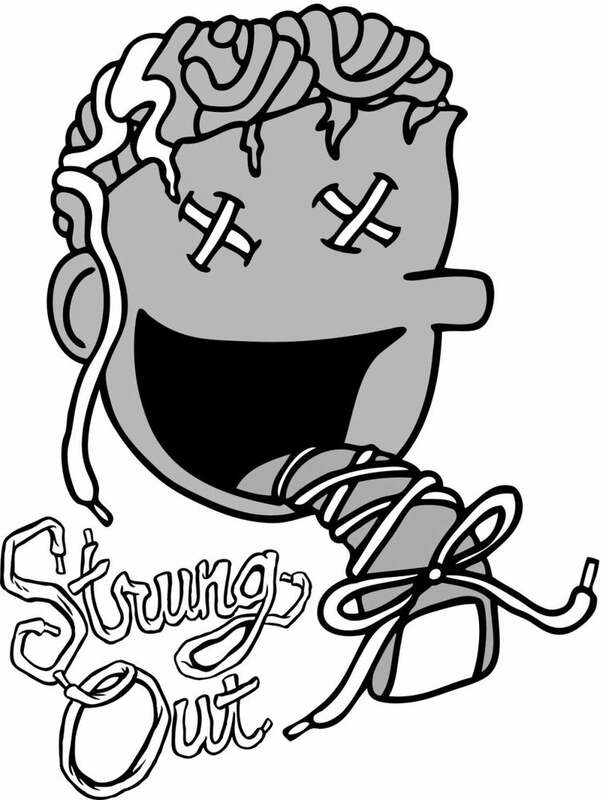 Strung Out logo of a Sneakerhead "Strung Out" on laces.